This site is an online provider of computer room air conditioning and computer room cooling. Whether you require a computer room air conditioner or server room cooling we can offer you a solution to meet your budget. From portable computer room air conditioner unit through to main frame computer room air conditioning unit have cooled them all. As part of the RAC Kettering group we are able to offer the unrivalled complete 24 hour, 7 days a week 365 days a year emergency back up service required by any computer room cooling system. With a qualified team of design engineers we have over 200 years of combined experience and are able of offer an engineered answer to any computer room or server room cooling requirement. 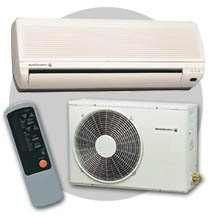 As one of the nations foremost providers of computer room air conditioning cooling we are able to offer the Daikin computer room air conditioner range of air conditioners able to work what ever the temperature. 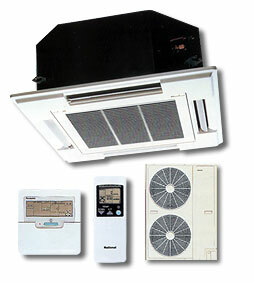 The air conditioners can be either ceiling, or wall mounted, alternatively positioned under a raised floor or even external to the room and ducted into the computer room cooling area. If there is a temporary requirement for spot cooling or if your existing computer room cooling has failed we can offer you computer room portable air conditioner hire at very competitive rates with immediate delivery. We manufacture specialist anti static strip curtains for computer server rooms and data centres, maintaining the conditioned air is confined to the server racks thereby saving energy. PVC Strip curtains can be used as room dividers or as skirts along the top of the racks.